Green Schoolyards America partners with school districts, public agencies, and other colleagues to develop city- and state-wide living school ground initiatives. We also support and build the green schoolyard movement by offering public presentations, professional development, and publications. Green Schoolyards America helps school districts develop comprehensive, sustainable, district-wide green schoolyard programs with strong connections to local sustainable-city planning efforts, regional ecosystems, educational standards, and children’s health. We work with school districts and other partners to develop site-specific school board policies, operational strategies, and professional development programs to help districts adopt and sustain living school grounds. Green Schoolyards America’s Principals’ Institute supports and strengthens our collaborative work with school district partners by providing professional development to school principals and district-level administrators. The Principals’ Institute program is currently offered in the San Francisco Bay Area and the Los Angeles Region. Click here for more information about our Principals’ Institute programs in 2019 and 2020. We also collaborate with partners to offer professional development for facilities department and public agency staff, engineers, landscape architects, and architects to improve green schoolyard design, operations, and management practices. We are currently working with Oakland Unified School District and the Trust for Public Land to develop a school board policy and funding and implementation strategies to create Living Schoolyards across Oakland. Click here for more information about our partnership and read about it on our blog. 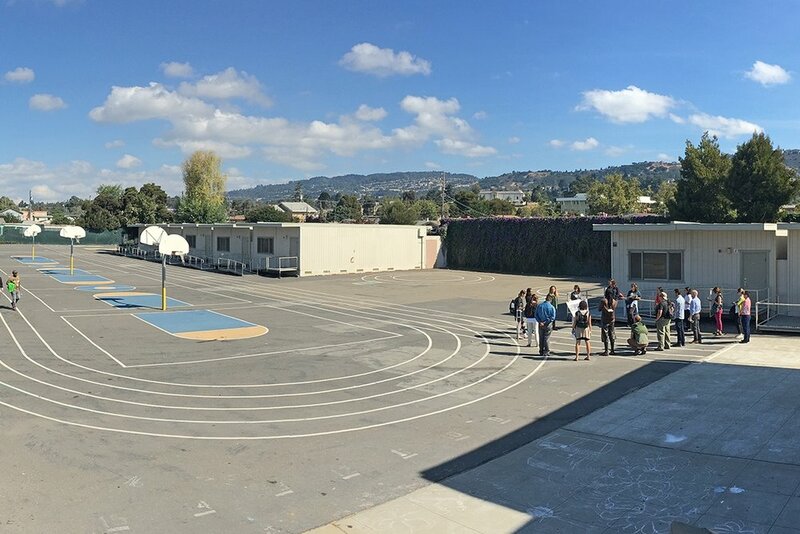 We worked with the San Francisco Public Utilities Commission, San Francisco Unified School District, and Teichmann Landscape Architects to provide training for city agencies, landscape architects, and engineers about how to design school grounds that optimize for child development and stormwater management at the same time. Click here to watch a recording of this stormwater schoolyard training session. If you would like to see living schoolyards across your city or region, please contact us for more information about becoming a school district partner.